To try and settle our minds and clear our thoughts we can de-clutter to bring balance. There are a number of techniques and methods that can be used. This could be a mammoth job depending how much 'stuff' you have accumulated. So please remember that you can do this slowly and in stages. If our minds are unsettled we can take less care of our environments. Walking into cluttered environments can unsettle our minds. It becomes a cycle or pattern then. We have to take steps to remedy the situation. Be brutal. When reviewing what you have if you have not worn or used something for months of years ask 'Do I need this?' and be honest. There is a difference between wanting and needing something. Be robust in your tidying. If you don't want/need something then perhaps give it to charity. Or throw it out. If a charity shop or charity can make use of something then donate it. You will feel good about that. Perhaps start by making a list of each room or each area of a room. Then start break it down even further. This idea was championed by Oprah Winfrey. Hang all your clothes with the hanger facing the opposite to normal. Every time you wear something hang it back in the cupboard the normal way. At the end of a chosen time (e.g. six months) any piece of clothing hanging the opposite way you have not worn in that time. So do you still need it? If you don't then give it away or sell it. You can choose he numbers yourself but 5, 5, 5 or 10, 10, 10 for starters. That is you keep 5 items, donate 5 items, throw away 5 items. Now you can adapt the number to suit. 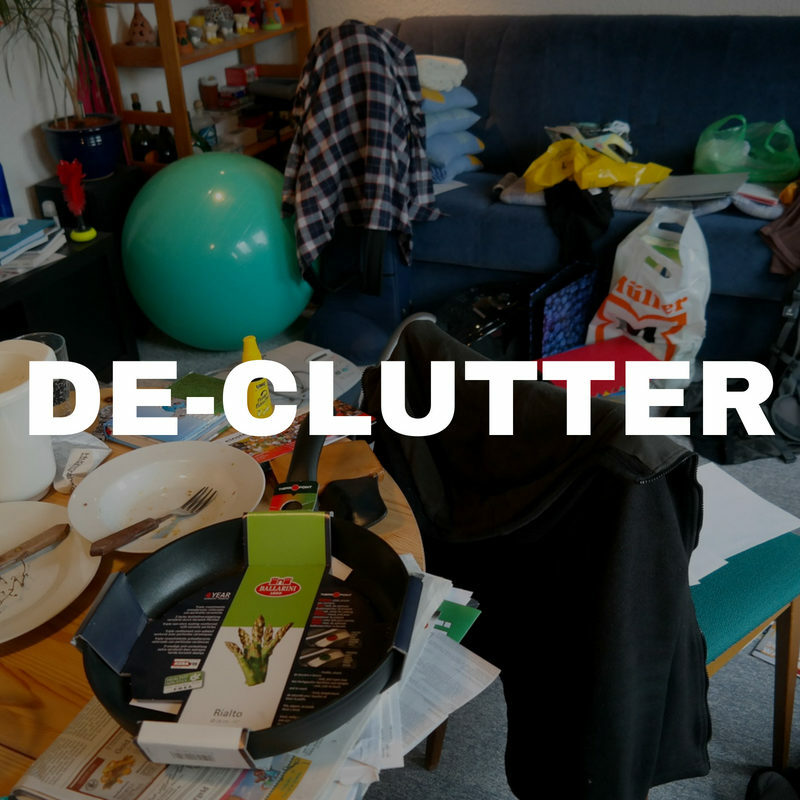 However, the point being to make a conscious effort to de-clutter. That will happen if you are determined to do so. Set yourself 5, 10 or 20 minute limits. So de-clutter for 5 minutes and then take a break and do something different. By going and doing something else you are coming back with a fresh mind each time. Do you have bank statements, bills or letters going back 20 years? Then why not scan them into the computer. You will have a copy for whenever you need access to them. Then yu must shred them if they are confidential documents. Keep 3-6 years worth. Anything 6 years or more you should be OK to save. You will save yourself so much space. To truly create space and order you may need to be brutal. If there is something you find that you have not used in a while or feel you may never use then get rid. Only by getting rid of items will you create order abd eliminate clutter. You may find you have boxes of bags of items to clear.